Note: Below are some crystal tools that I have built and used over the years. These instructions are not step by step but they will show you how to construct these on your own with a little work on your part. Use: By tying a string around a small quartz crystal you can use this simple tool for dousing or for clearing other quartz crystals. Clearing crystals: hold the string and let the crystal hover over the crystal or object you want to clear of negative energy. The dousing crystal will start to rotate in a circle. It may do this for several minutes. Usually when the dousing crystal is done removing the negative energy the direction of the spinning will change or it will go side to side. General Dousing of information: You can ask a question. If the dousing crystal rotates in a circle the answer is yes. If it goes side to side the answer is no. If it keeps changing directions the answer is undetermined. Please note that this use of the dousing crystal should NOT be relied upon for correct answers. It is merely a tool to help build up your own perceptions and perhaps take a peek at what is going on inside yourself. A clear quartz crystal is mounted inside a copper tube about 12 inches in length. 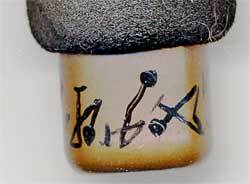 The bottom of the copper tube is capped with a copper end cap. For this tube I used 3/4" OD pipe. You may have to cut the end of the tube to secure the crystal and then use some kind of glue to keep it there. I like hot glue, as you can always remove it. 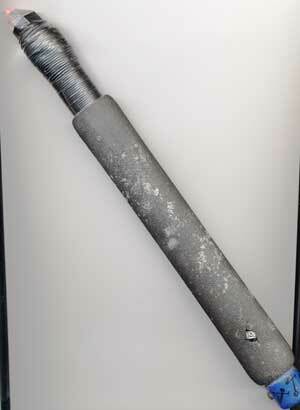 For the outside you can put foam rubber, as shown on the tube to insulate it from your body. I used those bike handle bar grip things. Use: In magical rituals for directing energy, for self healing or sending energy into other devices or crystals. Simply point the device at the object you want to send energy into and will it to go. For self healing hover the device over the area of the body to heal for a minute to ten or whatever feels right. Note: Please do not expect sparks to fly out of this thing. This device sends gentle energy out its tip and over time can create changes. 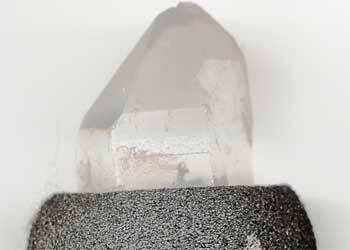 It is extremely useful in helping to clear other quartz crystals in a hurry. 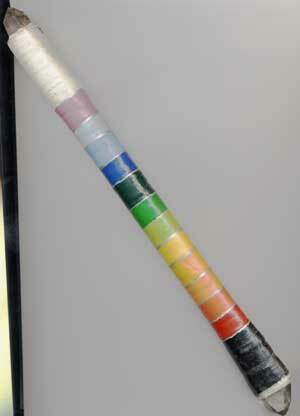 I will sometimes use this wand with the LBRP over an object to clear it of negative energy fast. Construction: 15 inch long copper tube with crystal in top. Copper cap on bottom. Copper wire (18 gauge) wrapped around the top where the crystal mounts. This wire is then connected to one side of a krypton flashlight bulb mounted just under the crystal. The other side of the wire goes to the negative side of two AA nicad batteries located inside the copper tube. The positive of the nicad batteries goes to a small press switch mounted on the copper tube. Theory: The energy from the batteries flows through the copper wire to light the bulb. 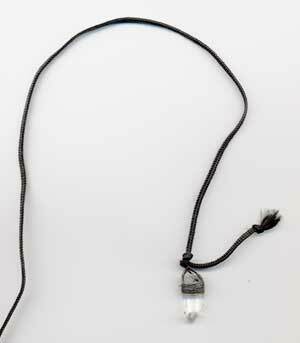 This creates magnetic energy which enhances the energy output of the crystal. The magnetic energy also helps to keep the crystal clear. Use: Great for self healing and charging crystals and talismans! Construction: 15 inch copper tube with two crystals, one on each end. 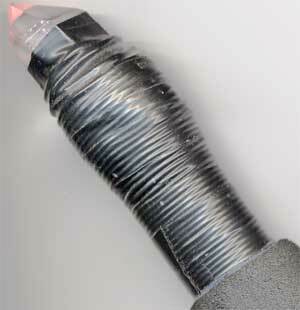 Black and white electrical tape wrapped around the tube to act as an insulator. Hand paint rainbows on the wand. Use: Same as above wands. Theory: Double termination allows energy to flow two ways. Very useful for clearing and balancing work. Energy enters the black side of the wand and exits the white. When doing work with the earth the black side always faces the ground and the white side the sky. When pointing the wand at something the black end points toward you, the white end away.